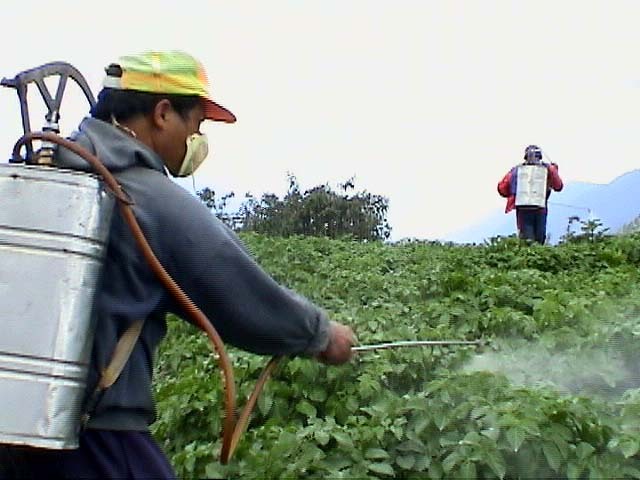 Out today, a new study linking ADHD in children to pesticide exposure. Children who showed higher than average levels for one pesticide marker were twice as likely to have ADHD as those with no traces of the poison in their urine. Interestingly, the researchers did not analyze the children’s diets, but simply recommended that parents wash nonorganic produce well and buy organic fruits and vegetables as much as possible since diet is a major contributor to pesticide exposure in children. Buying from the freezer section did not reduce the risk of exposure either, as frozen conventional produce still tested positive for pesticide residues. Produce was recommended for washing under cold tap water with a firm brush. Use of soap was not recommended as detergent residues could also prove harmful to young children! Interestingly, asking parents to withhold pesticide spraying around their yards and homes was not included in the study’s list of recommendations, although this seems to me to be an obvious and prudent thing to do. In addition to diet, children can inhale a tremendous amount of pesticide residue simply by playing in a yard sprayed with poison. Running around barefoot on a recently sprayed lawn can allow these poisons into the bloodstream via the skin as well. If you are still using these types of chemicals around your home and yard, you really must seek out green alternatives, particularly if you have young children in the house. There are several green pest control and landscaping companies to choose from that have become more popular in recent years. One in my area is called “Earth’s Best“. We have used this company for years to control bugs and other pests around our yard and home and the non-toxic solutions work just as well as poison! There are also green carpet cleaning services. Don’t forget about all the poisons you might use around your house. Substitute green alternatives such as baking soda, vinegar, and hydrogen peroxide as very effective, non-toxic alternatives! Don’t forget the major role that gut health plays in protecting our bodies from poisons we encounter in our environment. A leaky gut dominated by pathogens allows these poisons into the bloodstream much more readily than a gut that is protected by beneficial organisms that keep the gut wall sealed off from the rest of the body. In one study, female pigs fed mercury laced feed did not absorb any of the poison when their guts were correctly dominated by beneficial bacteria. On the other hand, female pigs that had pathogenic guts suffered severe mercury poisoning when fed the same feed. This study is discussed in Dr. Natasha Campbell-McBride’s book, Gut and Psychology Syndrome.